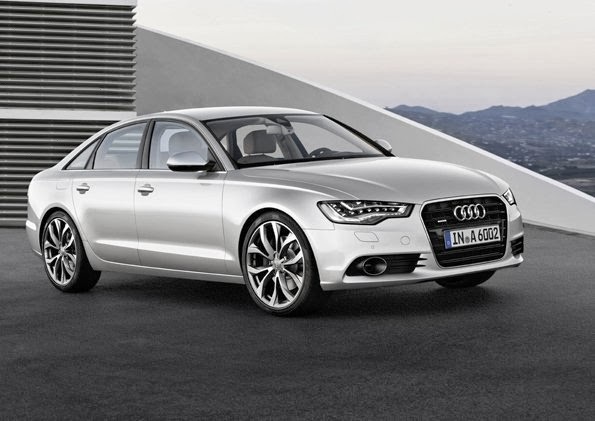 Audi A6 was awarded the maximum rating of five stars for crash safety by the American crash test program US NCAP. The results for adult protection in frontal and side impact collisions, as well as in a rollover situation, put the current Audi A6 among the safest cars in its category. In 2010 the the U.S. National Highway Transport Safety Administration (NHTSA) made the requirements for the front and side impact collision tests even tougher in order to reflect actual accident scenarios even more accurately. The scores that the testers awarded the Audi A6 for driver and front passenger protection in frontal and side impact collisions easily earned the car the top rating of five stars. Rear occupants of the Audi A6 are also well protected, as the 5-star result for rear passengers in side impact collisions shows. Audi also places maximum value on integral safety, going above and beyond the measures assessed by the institution. A core element of that strategy is the automatic distance control system adaptive cruise control (ACC) with stop & go function, which can automatically bring the car to a complete standstill. After a brief stop, at a traffic signal for instance, the car automatically accelerates again and maintains the chosen distance from the vehicle in front. Other assistance systems include Audi active lane assist and the lane change assistant Audi side assist. The Audi pre sense system is a milestone in active safety: In situations where a collision is probable, “Audi pre sense plus” can initiate a partial application of the brakes. If the collision is unavoidable, a full braking application may follow partial breaking. This reduces the severity of the impact. Targeted braking assists drivers in situations where they do not apply sufficient braking force despite having received visual and acoustic warnings. The NHTSA has rated the Audi pre sense system as highly recommended.